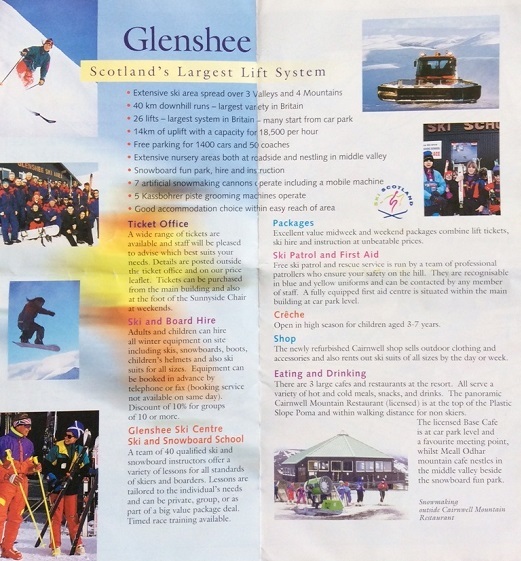 This brochure for the Glenshee Ski Centre is probably from sometime in the 1980’s. 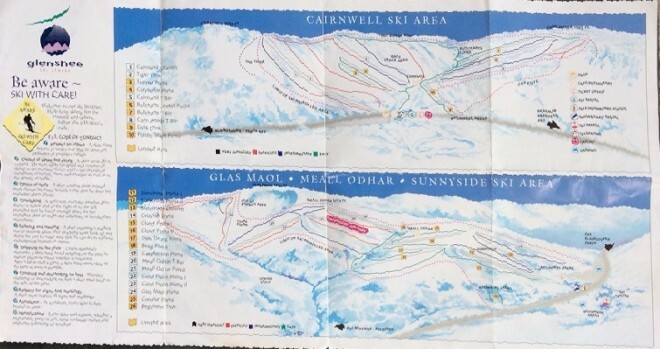 Pictures of the ski centre can be seen in the Gallery section, and a promotional film made in 1991 by following this link. This page was added by Sally Gingell on 05/05/2016. Thanks for publishing this. I had found the brochure when moving house.